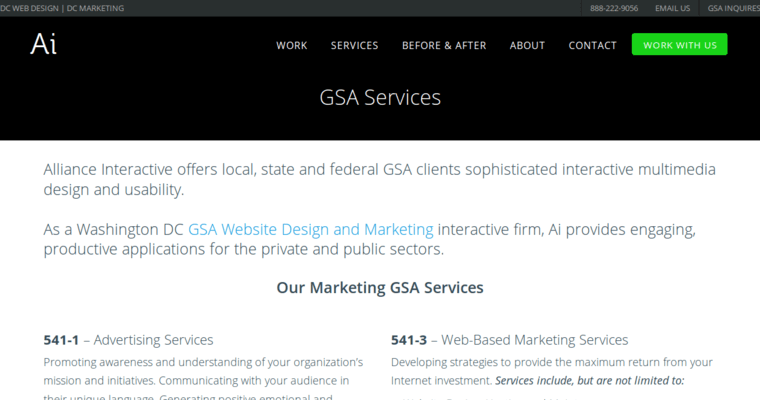 Alliance Interactive is a digital agency in Washington, DC specializing in web design and development. Their extensive list of services includes digital strategy, online marketing, content management, responsive websites and web applications. They also provide website support and secure cloud hosting for large and small companies. Some of the industries they serve include B2B, B2C, education, government, energy, insurance, high-tech, legal, luxury, transportation and medical, among others. The team at Alliance Interactive understands the importance of responsive web design that optimizes the aesthetic of your website across every platform. The solutions they offer brands are strategic and data-driven, designed to attract and retain your target customer. Whether the solution involves search engine optimization, pay-per-click, email marketing or social media marketing, the team at Alliance Interactive are experts at customizing the strategy for optimal results. 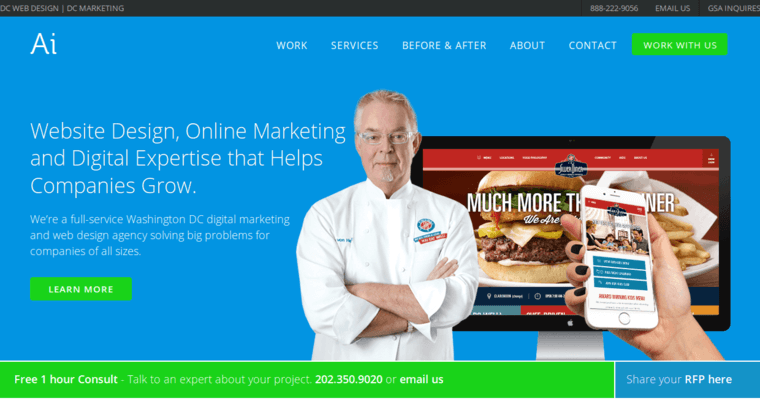 They also build membership websites and are recognized as the leading WordPress company in Washington, DC.